India was the place where so much of Lesslie Newbigin’s practical experiences gained a theological framework; and where his theoretical theology became practical. He became so fluent in the local language, Tamil, that he was heralded amongst Indian scholars as being one of it’s best advocates and speakers, with a huge literary dexterity. 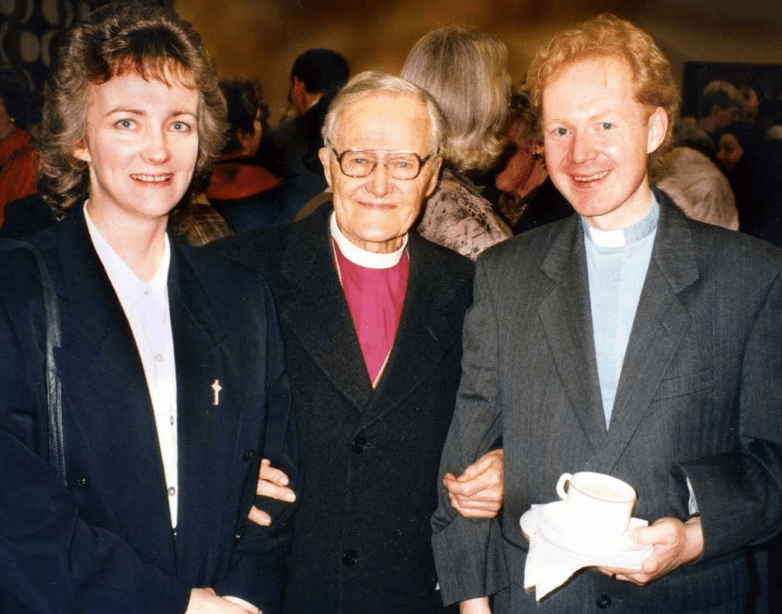 How can one briefly sum up Newbigin’s theological legacy? His bibliography is extensive. There are a number of folk who have managed to summarise some of Newbigin’s key areas of theological importance – see Michael Goheen, or Howard Mellor, for example. No list should exclude his work on Culture, and Christ’s place within it (See Newbigin: The Gospel in a Pluralist Society) – some think that he was one of the first to consider the church in the post-modern context. There is also much material – for example here – on the Gospel and Culture movement (See Newbigin: Foolishness to the Greeks). He is also widely acknowledged as an important practitioner and commentator on missiology (See Newbigin: The Open Secret). The Conference, called by CTBI, had Dr Veli-Matti Kärkkäinen as keynote speaker on the theme of ‘The Church in the Post-Christian Society Between Modernity and Late Modernity: Lesslie Newbigin’s Post-Critical Missional Ecclesiology’. Other contributors included Rev’d Dr Paul Weston, Dr Eleanor Jackson, Rev’d Dr Andrew Kirk, Dr Michael Goheen, Dr Ann Holt, Rev’d Dr Joshva Raja, and Adam Dodds. There were a number of other contributions, available online here on the CTBI site, in preparation for the conference, where a wide spectrum of theologians contributed submissions on Newbigin’s enduring legacy – again very helpful snippets of his work. In the plenary towards the end of the day, the conference was asked what people thought Newbigin would consider of the state of the church now. Some were concerned that he may be disappointed at the way in which the church in the west seems to still be diminishing – and in a way he might. But I concurred much more with Eleanor Jackson, who said she always thought of Lesslie Newbigin as a Bishop of Hope. Whether with a tiny rural south Indian congregation, or with a community of folks struggling with a church at the gate of a prison in the UK, as a keynote-speaker at a major conference, or befriending a young priest – Hope was what radiated from him. 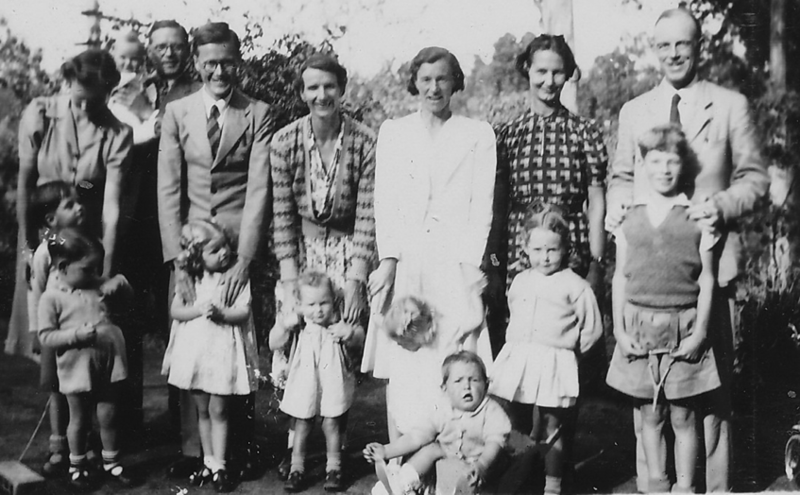 This photo shows members of all the of the Troika families. 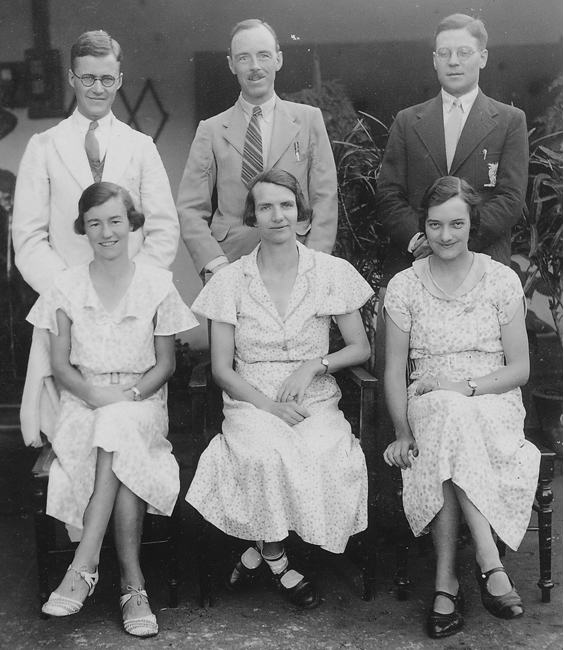 Lesslie is third from the left; Cecil Cutting on the right, with William Cutting, my father, standing in front of him, sling-shot in hand. These families, deep friendships being valued, continued to meet – even the next generation have carryied on the tradition of meeting. As a child of third-generation-missionary parents working at a hospital in rural South India in the 1960s and 70s, I remember visiting Lesslie & Helen in Madras – we used to go the 12 or so miles from Jammalamadugu to the nearest railway station at Muddanur, then taking the slow, dirty, delicious-smelling stopping steam train the 180 or so miles to Madras (renamed Chennai in 1996), taking about 12 hours if I remember, for major shopping trips a couple of times a year (for things unavailable locally: corn flakes, and tasteless white margarine in huge sealed cans comes to mind). Lesslie was terrific at maintaining encouraging friendships. In the mid-1980s, whilst I was at theological college, Bishop Newbigin came as a visiting lecturer. It had not been a good year for me at the college; never the sparkling academic, me. I was sitting next to a tutor who did not hold a very high opinion of me, on the front row during the lecture. At the end, Lesslie came straight across to see me, shaking me warmly by the hand and greeting me by name. After he was whisked away by the college principal, the tutor next to me, somewhat astonished, asked how I came to know the bishop (on first-name terms). “Oh, Uncle Lesslie?” I cheekily dropped in “We used to stay with him in Madras when he was bishop there”. Not too long ago, some children in Selly Oak were helped to see the world upside down when the aged bishop stood on his head! Not a single one of his many doctorates or his CBE fell out of his pockets. His episcopacy was intact. On closer inspection of the image of Bishop Newbigin used on the publicity for the conference (see top of this page), it looked a little familiar – no wonder, as it is cropped from the photo below. I had forgotten I had posted it as ‘public domain’ on the Lesslie Newbigin Wikipedia page (which, in case you were interested, I originally created), and see it has also shown up now on Bishop Newbigin’s Library Thing page too. For me, the fact that he bothered to come to my induction as a very ordinary young priest embarking on a new ministry in a local church, spoke volumes. I still feel the grasp of his arm that the photo shows, and the support it represents. Lesslie Newbigin archive of letters & documents at Birmingham University.